Prepared on Notepad by Ian Smith, This page created 16th October 2000. Best on 800*600. 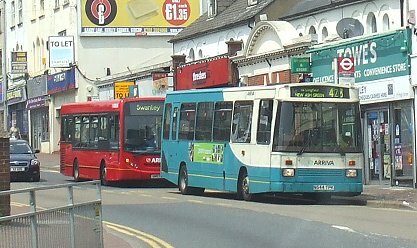 London Buses bought a small batch of 9.0m Darts with East Lancs EL2000 bodywork for use on the 484 and P5, at Camberwell garage. They passed on to London Central at privatisation, and stayed put until replaced by new low-floor Darts at retendering in March 2001. 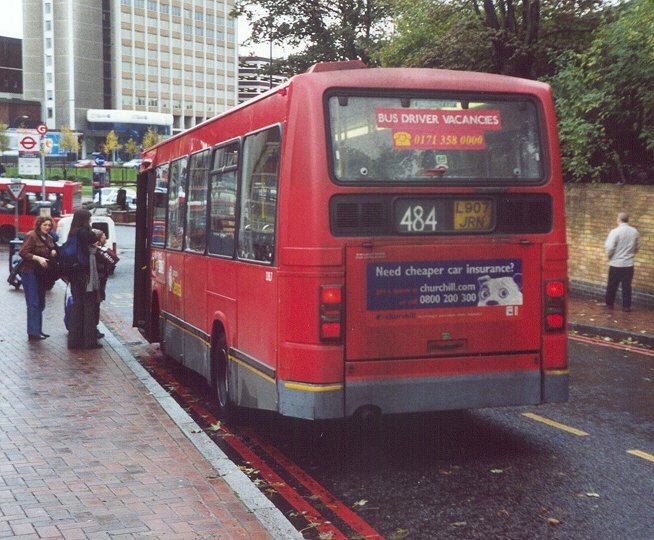 I saw DEL 7 as I emerged from the railway station at Lewisham on 28th October 2000. I was rather pleased, as I had gone there specifically to see a DEL. They went to dealer Holt of Bolton, whence three were bought by Stort Valley of Stansted for use on Harlow services. 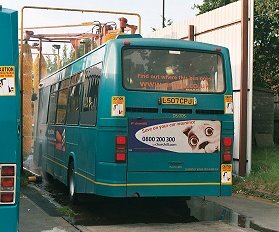 DEL1 was resting at the side of the road near Harlow when I snapped it from a passing RF in June 2003. British Bus had been parsimonious in buying new buses, and London & Country had been re-engineering buses left right and centre. So the trickle of new Darts with East Lancs bodywork from late 1993 was a welcome change. Indeed, the roots established in the partnership over Greenway refurbishments blossomed into a period of East Lancs with everything. London & Country bought its Darts in two sizes: 9.8m 40 seaters for general use, and 9.0m shorties with wheelchair access. DS1-2 were a long pair, bought in September 1993. 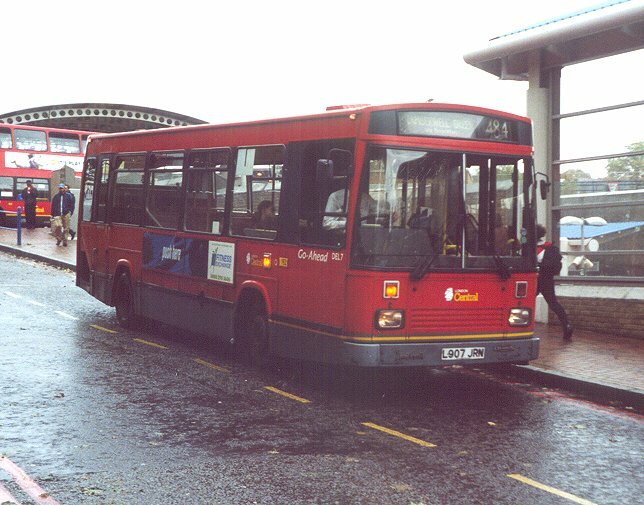 They were followed in May 1994 by a further seven, DS3-9, for use in the Leatherhead area. 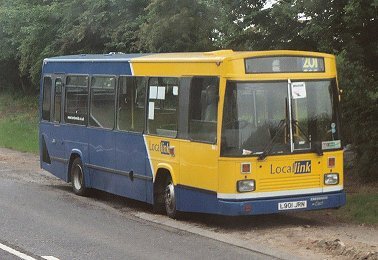 A batch of four, DS10-13, with wheelchair access and just 30 seats were bought a year later for access contracts, particularly route H28. DS14-15 were bought in June 1995 in co-operation with Britsh Airport Authority at Heathrow for the 441, as part of the Heathrow Freeflow initiative. They reverted to London-style split level entrances, but sported a snazzy paint scheme. 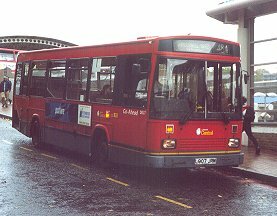 DS16-18 were a further three short wheelchair accessible versions, bought in November 1995, and DS19-24 completed the purchases as 9.8m forty-seaters for general use in West Surrey. 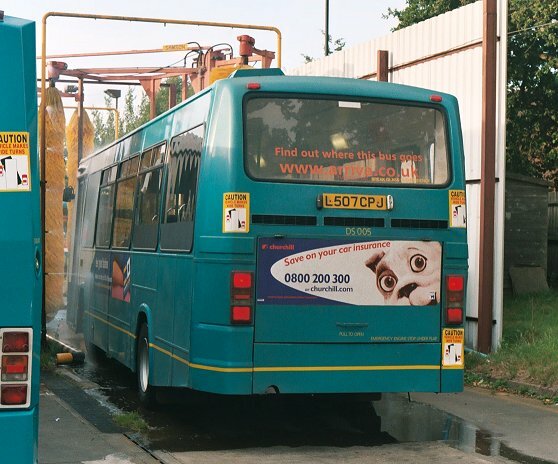 February 2001 saw the despatch of the wheelchair-lift buuses DS10-13 and DS16-18 to Arriva Cymru for use on the Bangor-Holyhead route. Further contraction of Surrey operations saw most of the remaining DS class go to Southend and Colchester in early 2002. 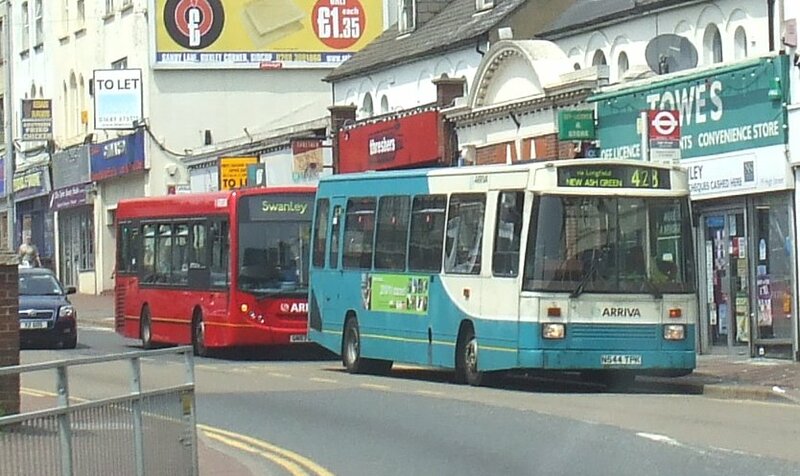 Two went to Arriva Medway Towns at Gillingham for use in the driving school. 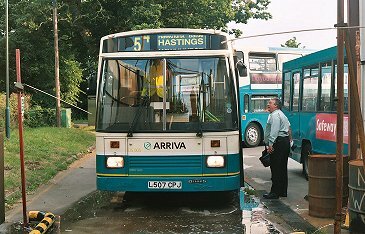 But DS005 at least was considered too good for that fate and became something of a favourite back in service at Hawkhurst. DS005 goes through the washers at Hawkhurst on 28th July 2003, between turns on the 254 and the 4/5. Three of the class were returned to Northfleet, DS22-24 (3122-3124), for promotional work for the Kent Freedom Pass, in June 2009. The first two went back into store in September 2009, but DS24 seems to have been restored to service despite being officially withdrawn in November, and appears on the 423 and 433. DS24 in service on the 423 to New Ash Green, at Swanley on 5th June 2010. DEL histories. DS histories. DEL, DS photos. Ian's Bus Stop Dart index. DAL. DEL. Other Darts.